IT'S a crime worthy of lock up in Arkham Asylum - the theft of Batman's famed getup... and a bridal sash. The Caped Crusader's costume was stolen from a costume shop on Tuesday night. Police have since charged a 35-year-old man with stealing and entering in closed land. 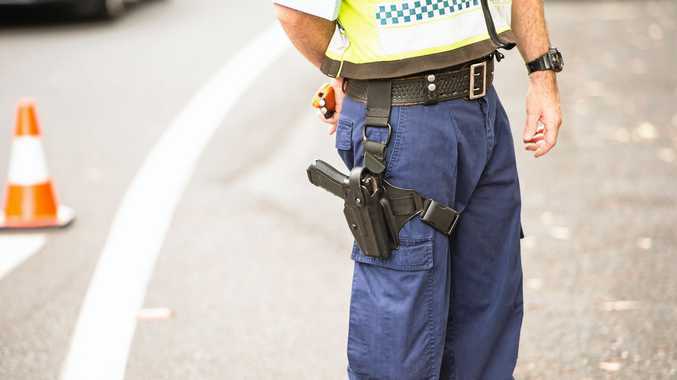 It will be alleged the man entered a closed shop on Kelton St in Lake Macquarie and selected a 'Bride to be' sash and a Batman costume before putting them on and leaving the shop. Police from Lake Macquarie Local Area Command were contacted and commenced an investigation. Yesterday, investigators swooped when they executed a search warrant at a home on Boston Cl,. Cardiff. They allegedly seized a Batman costume and bride sash. At 10am the 35-year-old man attended Charlestown Police Station, he was arrested and charged with stealing and enter inclosed land. He was granted bail to appear at Belmont Local Court on Wednesday 26 March 2014.